The Grammy-winner will perform three concerts in New Jersey in May at Atlantic City's Revel Resorts as part of the launch of the 2.4 billion dollar resort. 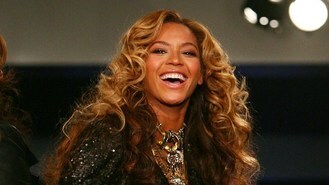 Beyonce, 30, who is married to rapper Jay-Z, gave birth to her first child in January. She debuted her knock-out post baby figure just a month later when she went to see her husband perform at Carneige Hall in New York. Tickets for her new shows, scheduled for May 25 to May 27, will go on sale on April 6. Beyonce will perform in the 5,050 seat Ovation Hall. The singer released her fourth album, the platinum-selling 4, in June.